n easy stages, this guide describes two long-distance trails through the unspoilt scenery of Northumberland and the Borders. St Oswald's Way begins at Heavenfield and its 97 miles take in rolling farmland before reaching the coast's vast sandy beaches. The 62-mile St Cuthbert's Way, beginning at Melrose, crosses the rugged crags and heather moorland of the Cheviot Hills. 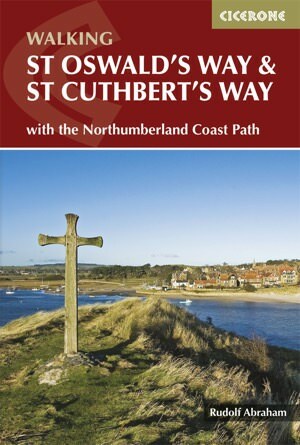 Both trails pass through Northumberland National Park to converge on the atmospheric Holy Island - a crucible of Christianity in Britain, and a site of pilgrimage even today. Each can be walked within a week.